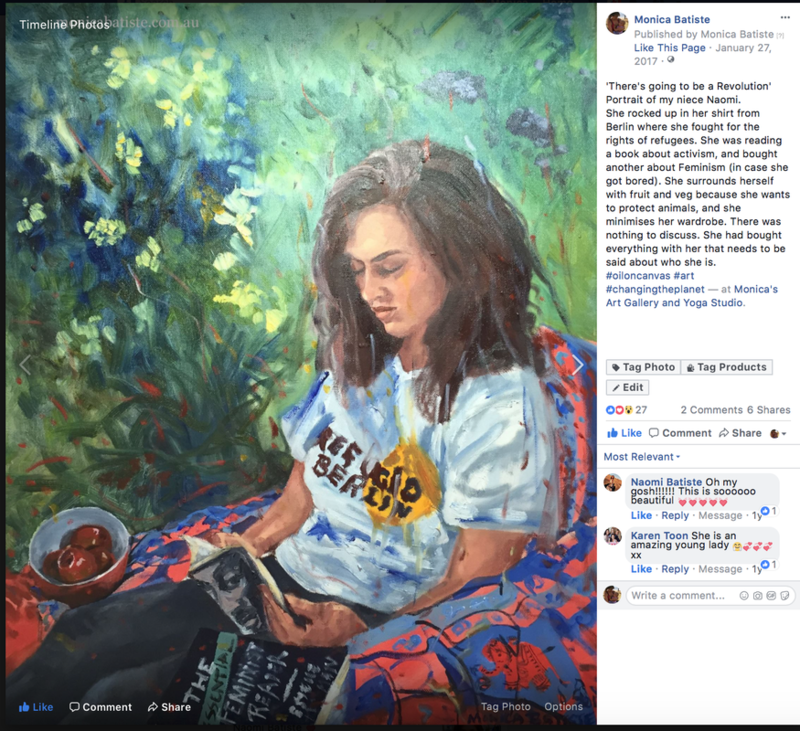 Redcliffe based artist Monica Batiste has always been an artist in some form; developing, growing and seeking expression through the mediums of paint, pencil, paper, canvas, movement, speech, and vibrations. As an illustrator and fine artist, her intention is to tell a story and expand perceptions. As a woman I've had to navigate what felt like a 'man's world.' Experiencing trauma in my childhood, as well as mixed messages from society on how a girl and woman should be, has formed in me a sensitivity to the world around me, and to the feelings of others. As an artist I seek to paint women in their power, as I am seeking to find this for myself. I look for women or men who can stand in their power and expand this for the people around them. Through portraiture I wish to tell a story that goes beyond the flesh and somehow, through the mediums of paint and texture, I wish to convey the deeper meaning of who we are, and who we can become.